Dual Sport and Adventure Riding is about independence. It’s about hitting the trail and knowing exactly where you are… or the freedom to be lost in the moment... and the comfort of finding yourself again... on YOUR terms. Having the right GPS gives you independence - freedom - knowledge - comfort. That's why I wrote the Ultimate GPS Selection Guide. 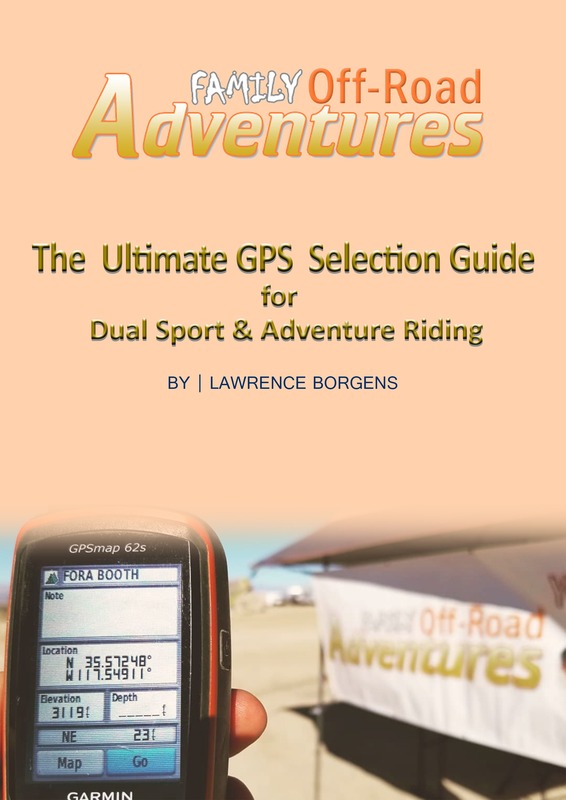 But often the process of selecting a GPS for Dual Sport and Adventure Riding is time consuming and complicated. There are so many options... and you don't want to waste your time or money. Why can’t it just be easy? Now it is! I’m Lawrence Borgens from Family Off Road Adventures and I know exactly how you feel. 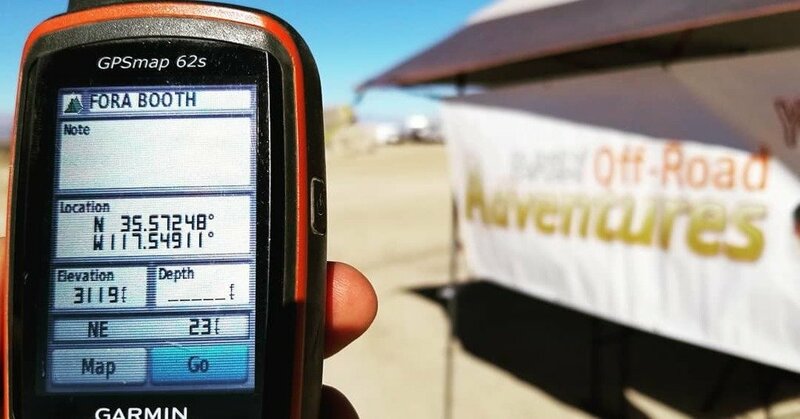 I’ve been buying and using GPS’s in the back country of Baja, Uganda, Peru, Alaska, Death Valley and the Sierra’s for over 20 years. I’ve already made all the mistakes when it comes to selecting a GPS for Dual Sport and Adventure Riding. I started out just like you and over the years I figured out what matters and created this simple GPS Selection Guide for you. Selecting the right GPS is easy with this FREE Guide. The best way to mount your GPS. What make a good GPS display? Can your phone be used as a GPS? With this FAST & EASY GPS Selection Guide for Dual Sport and Adventure Riding you’ll have one less thing to worry about. Don’t make the same mistakes I did. This GPS Selection Guide will help you save money and get the right GPS the first time. Read this short guide and you’ll quickly end confusion and overwhelm and be confident on your next adventure, knowing your GPS can get you home. Being independent is the cornerstone of Dual Sport and Adventure Riding and having the right GPS gives you the confidence to chase your dreams no matter where they take you. Adventure awaits… Are you ready? Get the Ultimate GPS Selection Guide now. Thank you Lawrence for your gps guide. Looking forward to another Yosemite ride soon. We’ve had a great time in the past and are happy to join your crew again. Until then take care. Hope the guide helps you choose the best GPS! We’re getting ready to have another great event! We look forward to seeing you there! Went through the gps guide crap three times without any responding email link as mentioned, oh well. Mark, did you check your SPAM? Your confirmation link may have ended up in there… Also make sure that you entered your email address correctly and it’s a valid email address. Hope that helps, if not please email me at: lawrence@familyoffroadadventures and I’ll just email it to you directly. Same problem for me. Filled out my name and email, click Get the Guide and it says an email will be sent to me with a link to click for confirmation, but no such email has arrived for me. Tried it several times, yesterday and today. Thanks. David, Please check your spam. Also please make sure that your email address is entered correctly and it’s a valid email address. Please email me @ lawrence@familyoffroadadventures.com and let me know if you’re still having problems so I can resolve it for you. OK Lawrence, got it! And thanks. BTW, not that it’s an option this year, but perhaps soon . . .is your Yosemite tour suitable for a Ural sidecar rig?? David, We’ve had a few Ural’s with a sidecar on our ride! Hope you can make it! i read the article. any thoughts on the montana? my only concern re 60 series is the screen size, has that ever been an issue? also, any tips on keeping the dust action off the screen? Raff, I think the Montana is a great unit and has a bigger screen than the 60 series. The Montana is a great choice! I’m trying to register for your May 2019 Yosemite event but the link isn’t working on the website. Are you still having the event this year? Thanks for touching base! We haven’t opened registration for this event yet. We’ll announce it on our Facebook & via email as soon as it’s open.